Chinese greetings vs Sinhalese Greetings help you to learn some formal and informal phrases that are useful in Chinese and Sinhalese speaking countries.Learning few basic greetings in Chinese and Sinhalese helps to make good impression on people and also makes us feel confident. You can also learn Chinese vs Sinhalese alphabets. When you want to request someone for something then it is necessary to say please. But if you don't know how to say please in Chinese and Sinhalese then it disappointing. So, Chinese Greetings vs Sinhalese greetings helps us to learn please in Chinese and Sinhalese language. Please in Chinese : 请 (Qǐng). Please in Sinhalese : කරුණාකර (karuṇākara). In some situations, if you need to apologize then Chinese greetings vs Sinhalese greetings provides to say sorry in Chinese and Sinhalese language. Sorry in Chinese : 遗憾 (Yíhàn). Sorry in Sinhalese : සමාවන්න (samāvanna). You can also learn useful phrases of Best Languages to Learn. After you say hello to someone then you will want to ask how are you? And if you wish to know what's how are you in Chinese and Sinhalese then Chinese greetings vs Sinhalese greetings helps you. 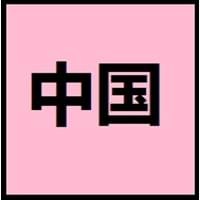 How are you in Chinese is 你好吗？ (Nǐ hǎo ma?). 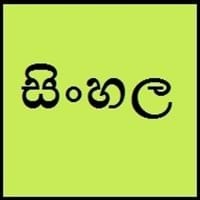 How are you in Sinhalese is ඔබ කොහොමද (oba kohomada). Even though greetings remain same in almost all the dialects of the language, their pronunciations and accents vary from each dialect to dialect. Know more about such dialects on Chinese vs Sinhalese Dialects. Are you finding few more Chinese greetings vs Sinhalese greetings? So let's compare other Chinese and Sinhalese greetings. Good Morning in Chinese is 早安 (Zǎo ān). Good Night in Chinese is 晚安 (Wǎn'ān). Good Morning in Sinhalese is සුභ උදෑසනක් (subha udǣsanak). Good Night in Sinhalese is සුභ රාත්රියක් (subha rātriyak).